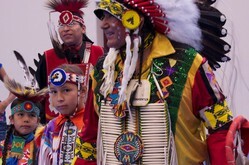 The State Board of Education and Department of Education, in cooperation with the Eastern Shoshone and Northern Arapaho tribes, will form a Social Studies Standards Review Committee this fall. The committee's task, as mandated by the Legislature, is to evaluate and review existing standards to ensure the cultural heritage, history, and contemporary contributions of American Indians are addressed. A call for committee members will be sent out in a future publication and a superintendent's memo. Casper College invites you to the 15th Annual Math and Science Teachers' Conference. Participants will be provided with cutting-edge technology, innovative teaching methods, networking opportunities, and continuing education. PTSB and/or UW credit will be available. The UW Literacy Conference, hosted by the Literacy Research Center and Clinic, brings together Wyoming educators to explore current issues and trends in writing instruction, as well as principles and practices related to state standards. 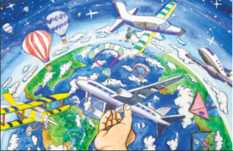 The Wyoming Aeronautics Division invites you and your students to participate in the 2018 International Aviation Art Contest. This year's theme is "Flight into the Future." The Federal Motor Carrier Safety Administration's 2017 Kids Art Contest is accepting artwork. Traffic safety is important for all students to learn, and this contest is a perfect learning opportunity for your students. The contest is open to students in kindergarten through sixth grade (ages 5-12). Entry deadline is September 24th. Winners will be announced in October. All 12 winners will receive a certificate of recognition and have their artwork included in the 2018 Road Safety Art Contest Calendar, which will be distributed nationwide. 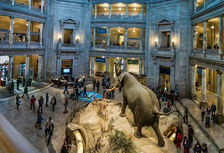 Registration is now open for free 30-minute live webcasts from the Smithsonian's National Museum of Natural History. These "Smithsonian Science How" webcasts bring scientists into your grades 6–8 classroom. Start the school year with a mission to get your students outside by starting a garden. Students who engage in school gardening are likely to experience academic, physical, emotional, social and even behavioral benefits. 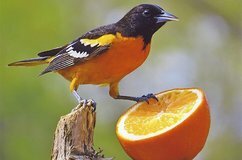 School gardens not only benefit students, but they can also benefit birds! This webinar is free and open to K-12 educators. 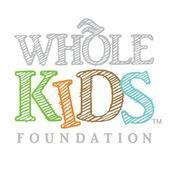 The Whole Kids Foundation's U.S. Schools Garden Grant Program is offering $2,000 grants to support edible education gardens on the grounds of K-12 schools. Applications will be taken beginning September 1st. Winners will be notified in February 2018. 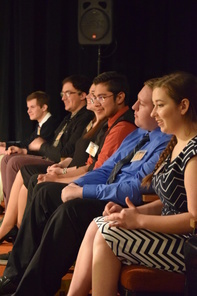 The Wyoming Arts Council invites 9th through 12th grade teachers and students to take part in Poetry Out Loud, the national recitation and memorization contest sponsored by the National Endowment for the Arts and the Poetry Foundation. Students can work on mastering comprehension, public speaking, acting, performance, drama, and English skills while building self-confidence and internalizing our rich literary heritage. Contact Tara Pappas (307) 777-7109. Finalists in Wyoming’s 2017 Poetry Out Loud state finals prepare to compete. The WDE has statewide PLCs on Edmodo allowing educators to ask questions and share information, and resources. The site provides for sharing of lessons and mapped documents.